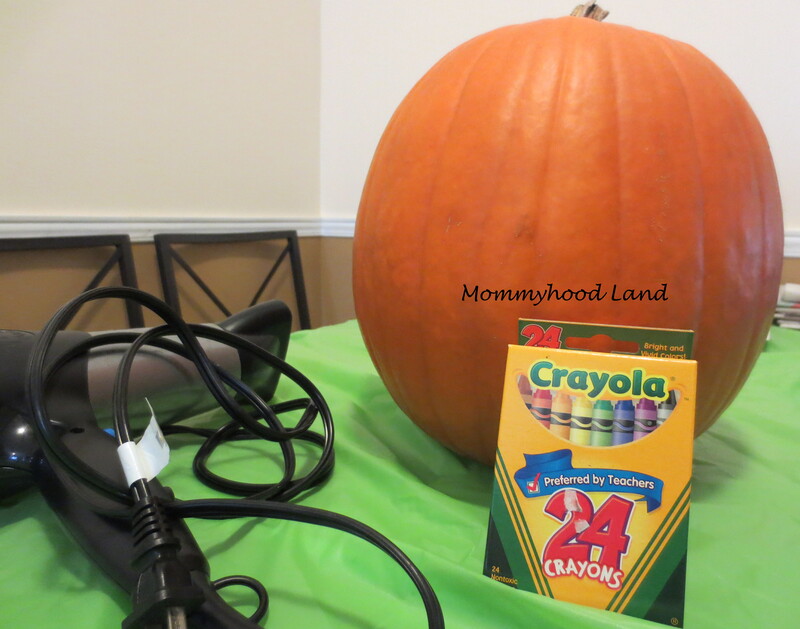 Pumpkin Decorating without carving! 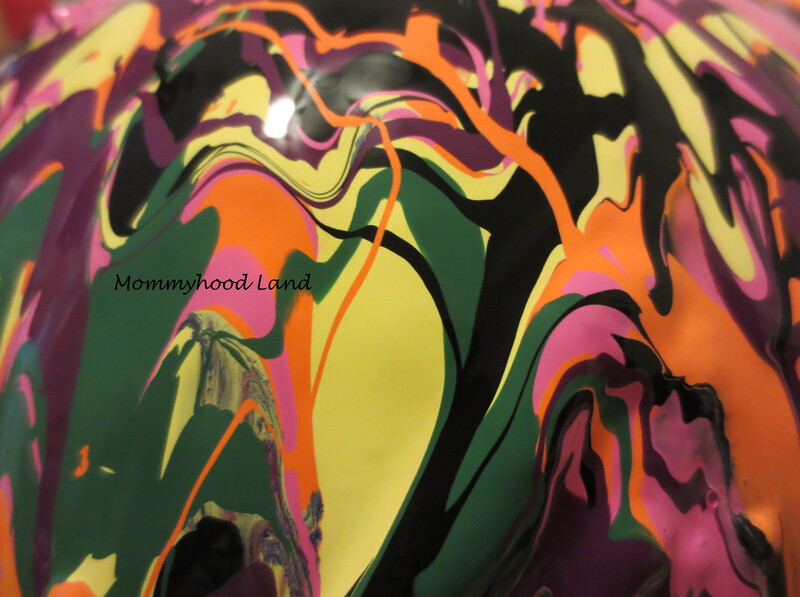 Melted Crayon Art and Painting! 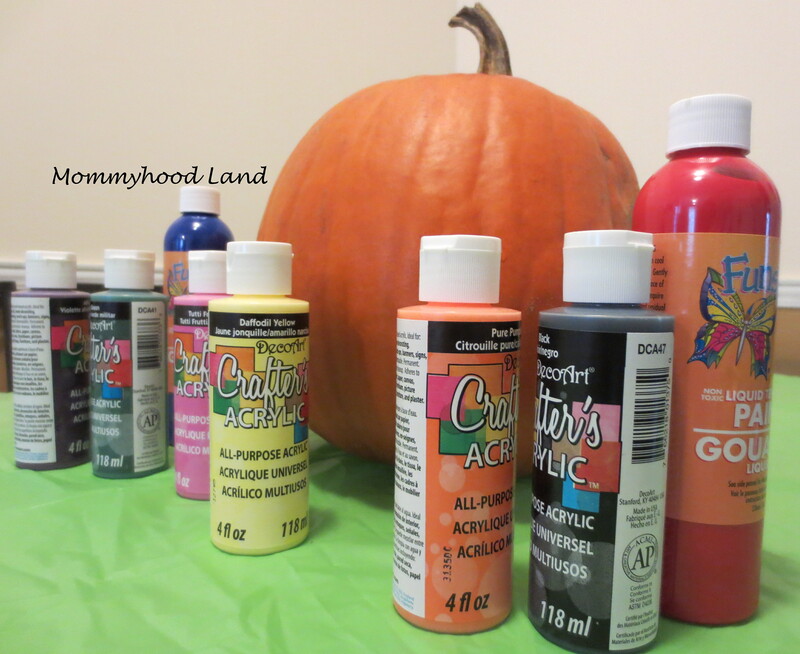 How do you decorate your pumpkins? Do you carve? Paint? This is what we do. The no carve pumpkin decorating way. My youngest son does not like to carve pumpkins. In fact he hates it. He can not stand it. And he will not touch the inside to clean it out. So this year for him we decided to try out two different ways to decorate his pumpkins. He loves to paint and was waiting for his chance to do some melted crayon art after his brother got to do craft recently. So after some thought and time on Google we came up with a couple of ideas. 1. 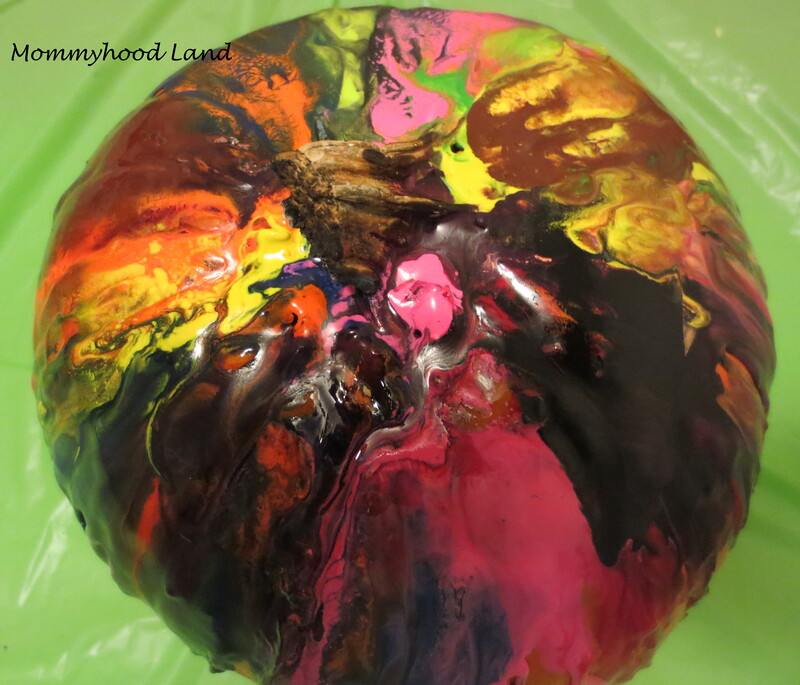 Melted Crayon Art on the Pumpkin. Here is the how to on both. 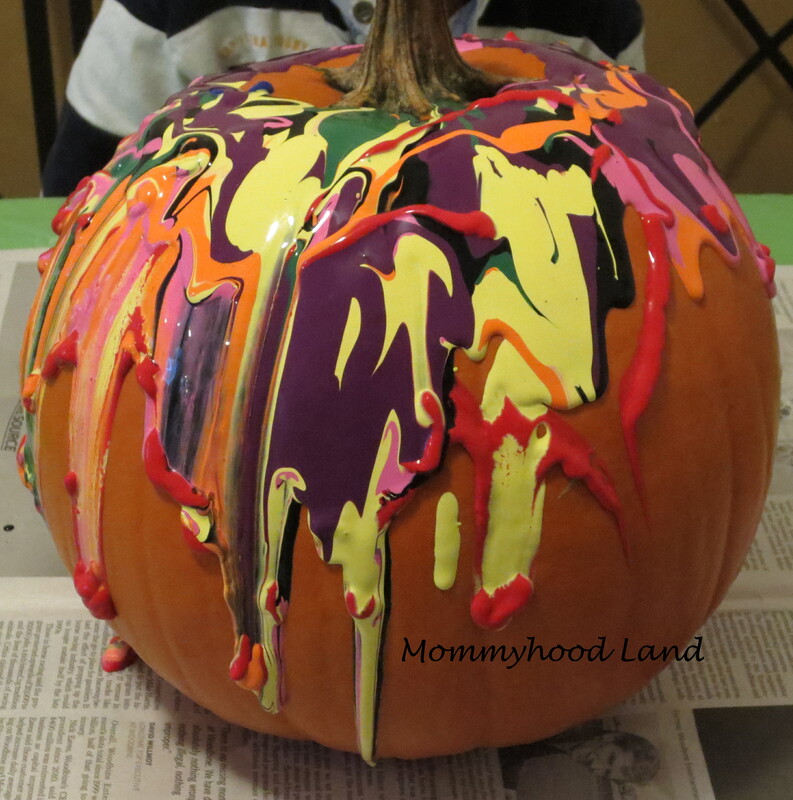 How to do Melted Crayon Art on the Pumpkin. 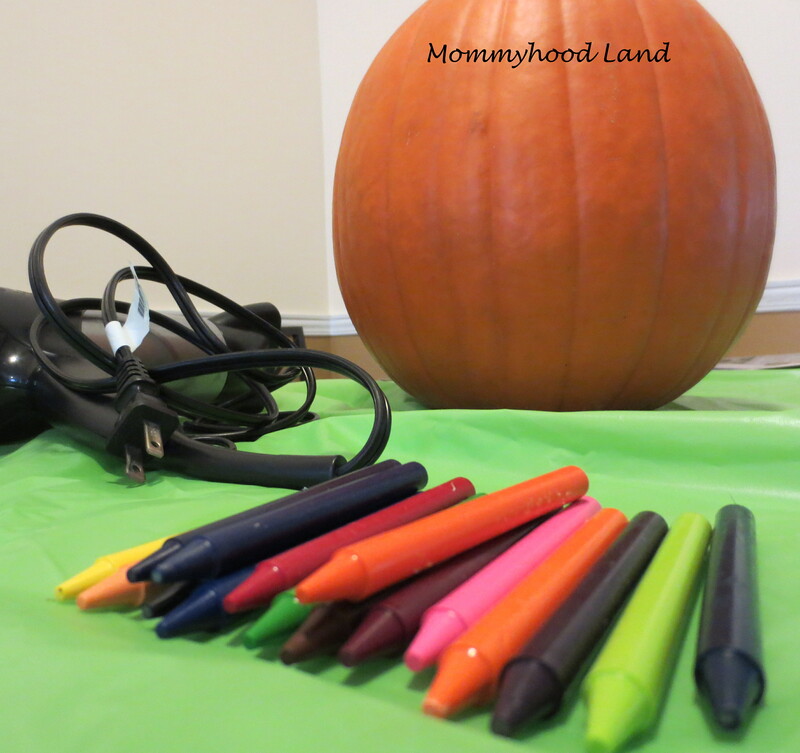 First you need a pumpkin, crayons, and a hair dryer. Next peal the crayons and break them in half. 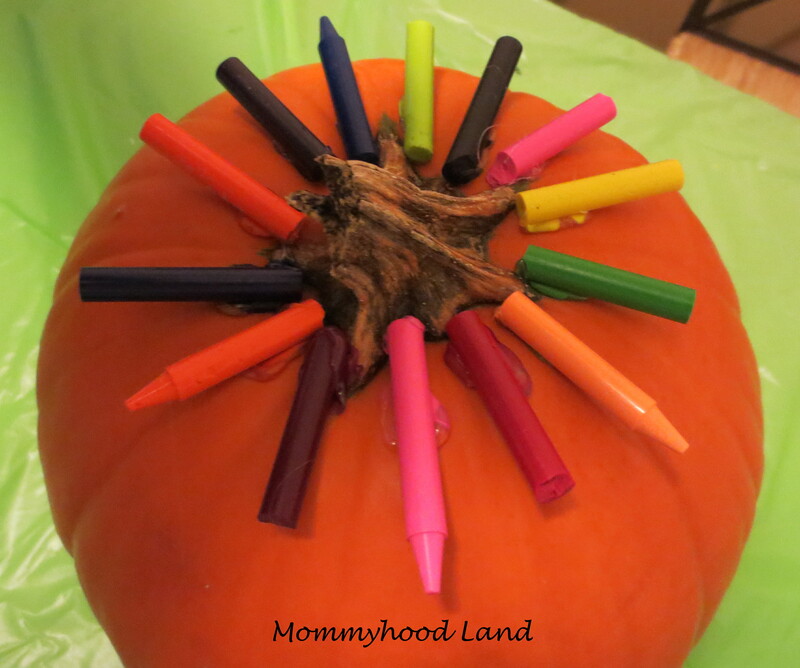 After you have broken the crayons in half, it is time to put them on the pumpkin. Some people use glue to get them to stick, others melt them a little bit with lighter to get them to stick. We ended up using a hot glue gun. I attempted to get some bright colors in there (and pink! ), however I was told that its Halloween and pumpkins don’t need to be bright and colorful, or pink! 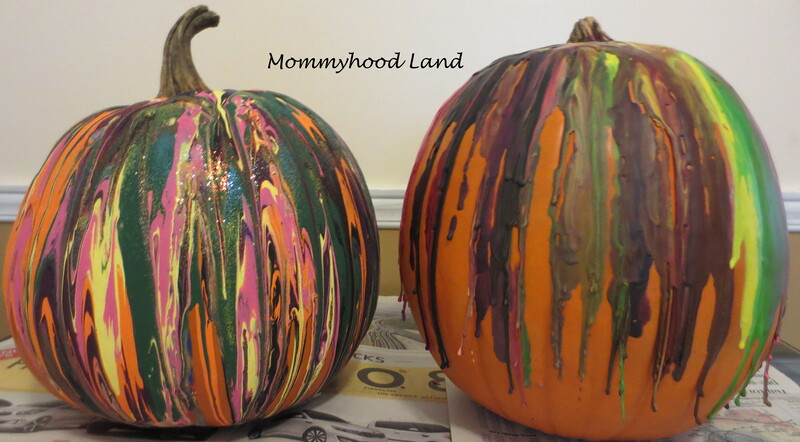 Be careful when starting to melt them, the crayon can, and probably will splatter. It will also start to peel away at the bottom of the pumpkin. After we were done we went back and heated that part up trying to get it to stick back down. You may want to add more crayons depending on the look you are going for. With the boys in charge there is no question about it, more crayons had to be added! Continue to melt until you get a look you are happy with. 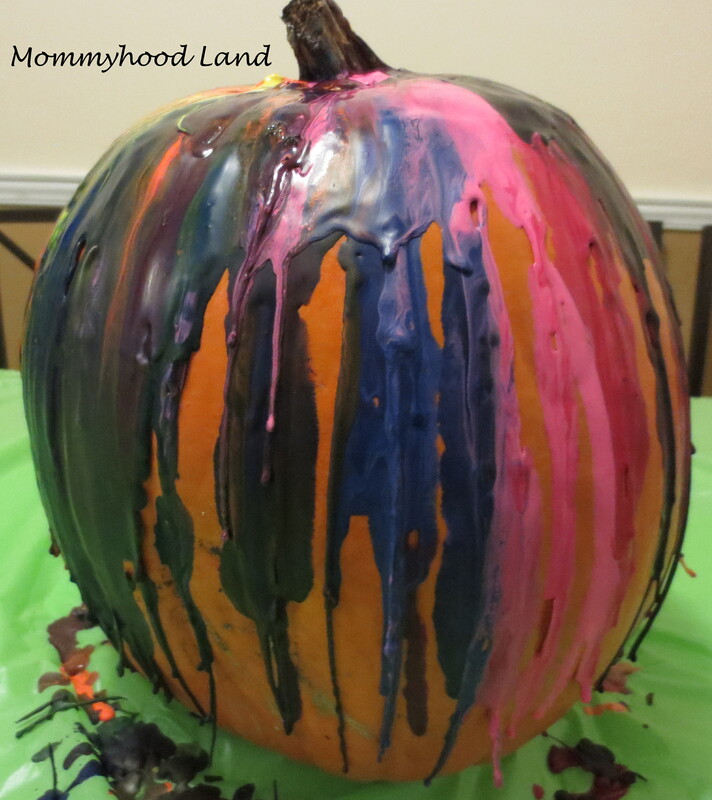 Our Melted Crayon Art Pumpkin! 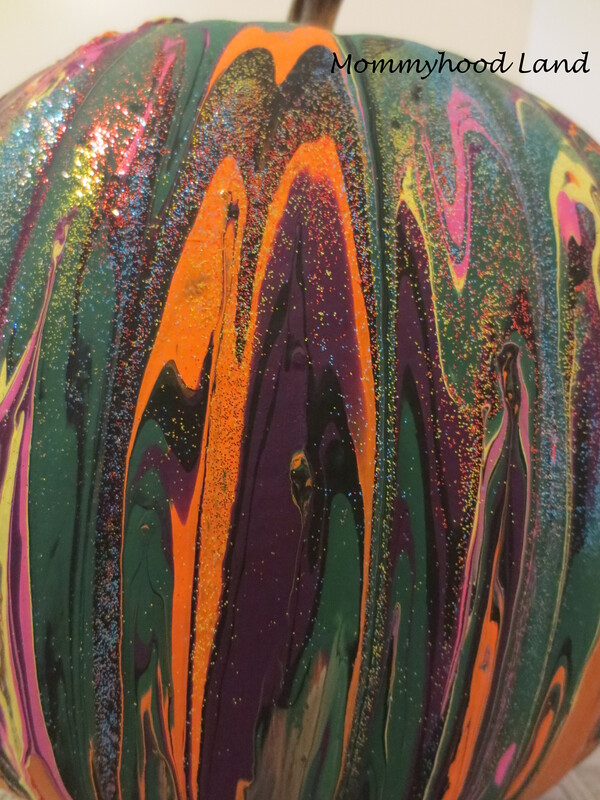 Next up, our Painted Pumpkin! 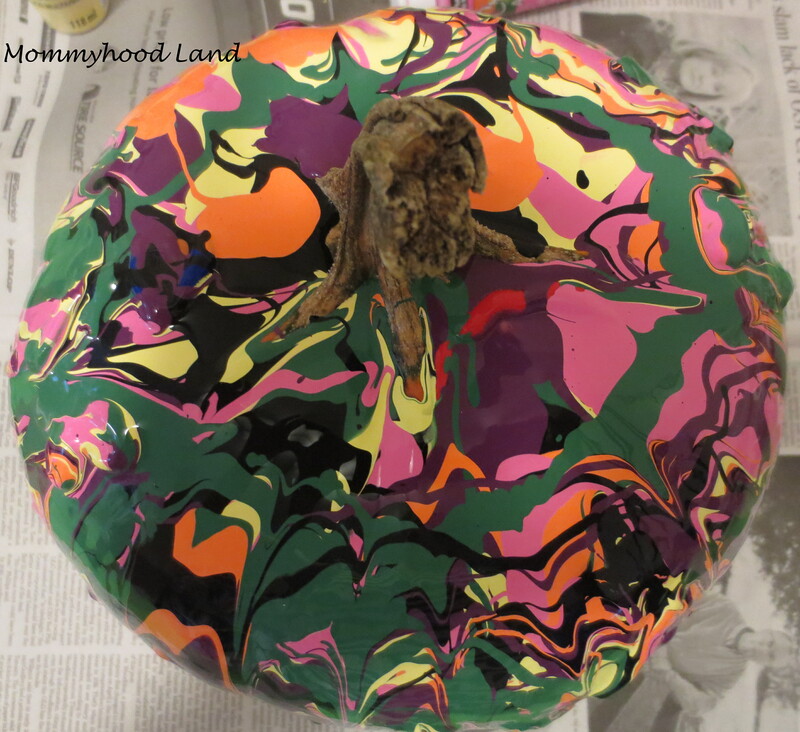 How to decorate your Pumpkin with Paint. 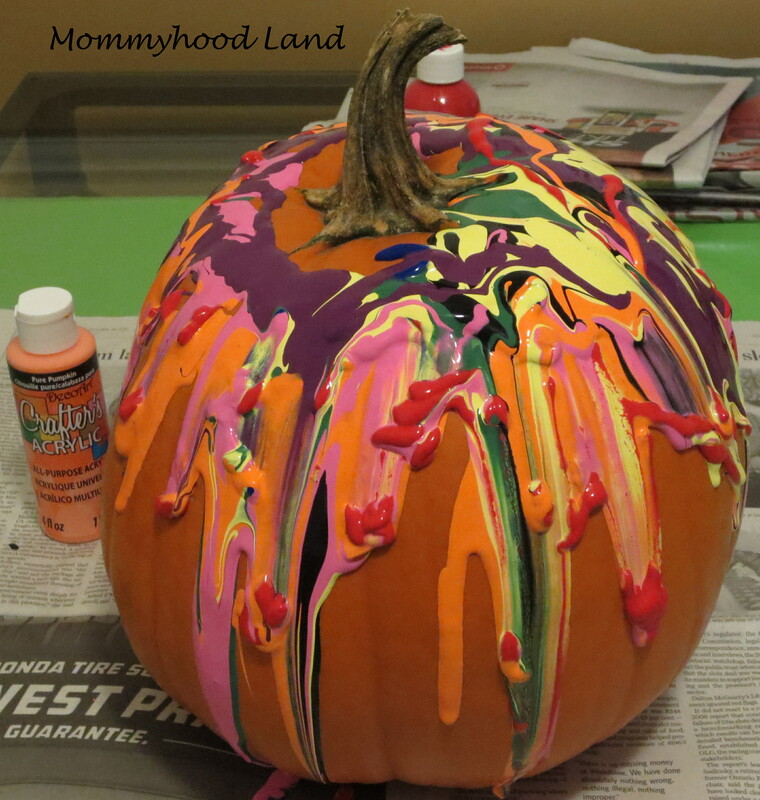 First you need a pumpkin and paint! 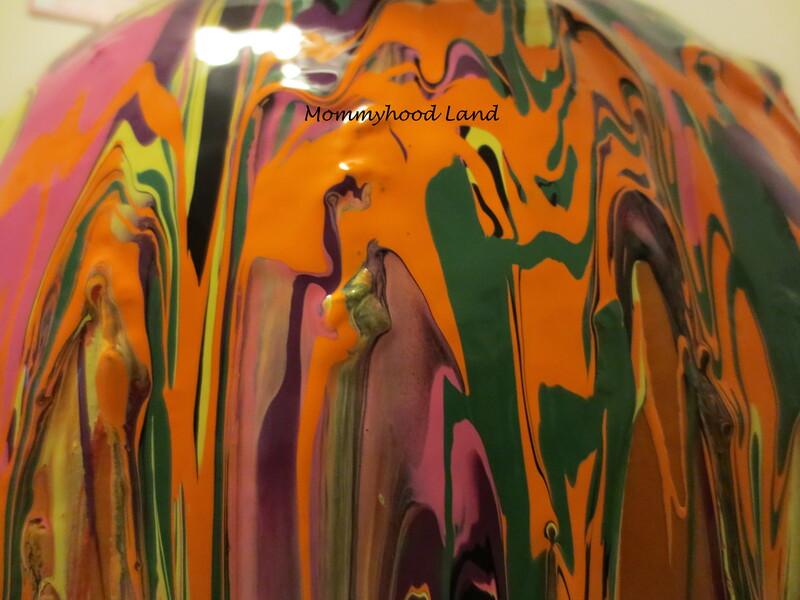 Next, start dripping paint on top and watch it slide down. The boys did not want to stop until the whole thing was covered. They had such a blast! They loved doing this! Almost done, just one more thing. Glitter!